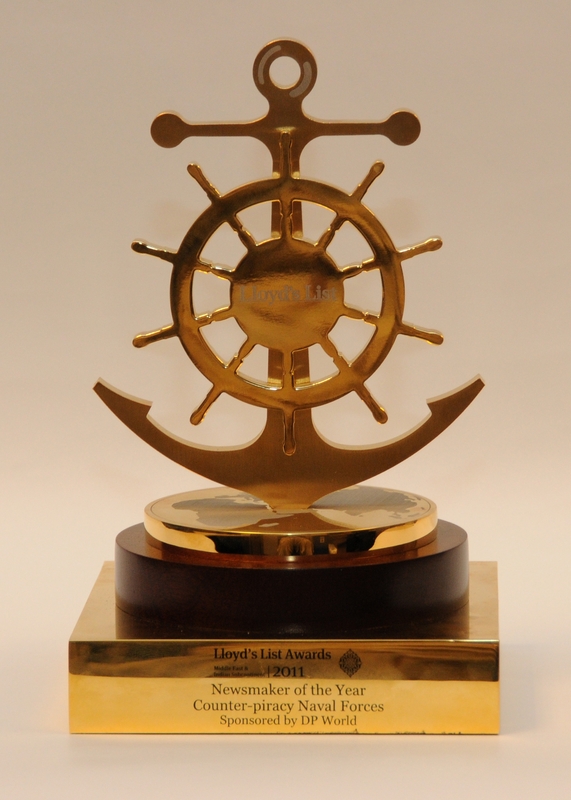 Combined Maritime Forces (CMF), along with NATO and European Union Naval Forces (EUNAVFOR) conducting counter-piracy operations, were honoured by one of the shipping industry’s leading organizations, Nov. 16. The Lloyd’s List “Newsmaker of the Year” award is presented to the organisation or person influencing a major aspect of the news agenda. 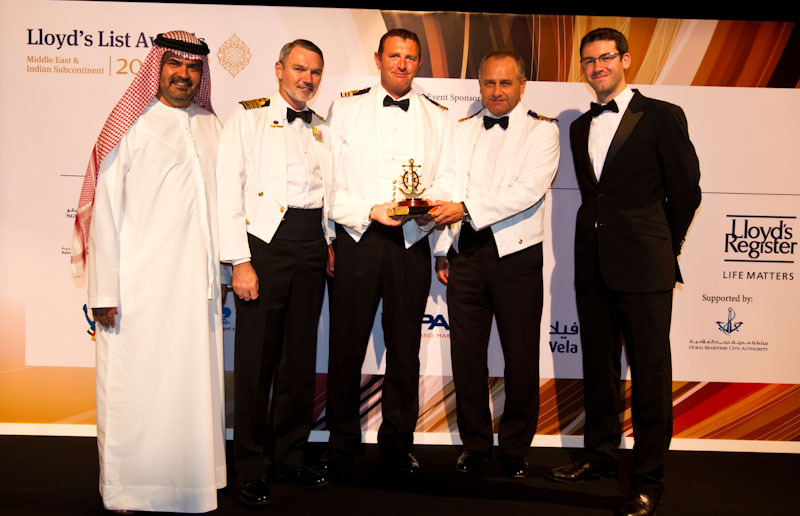 The 2011 award recognised the highly cooperative approach and outstanding efforts by counter-piracy forces from CMF, NATO and EUNAVFOR at an awards ceremony in Dubai, United Arab Emirates. 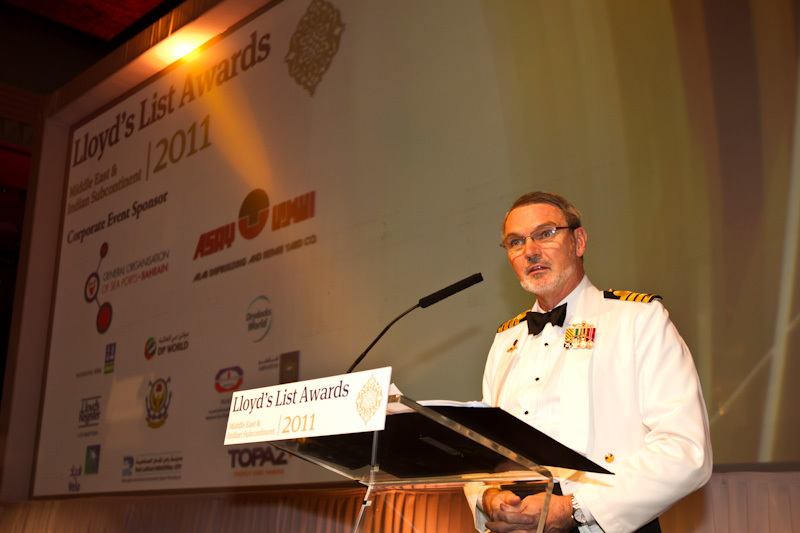 The Lloyd’s List Award ceremony in Dubai - Mr. Mohammed Al Muallem, Senior Vice President and Managing Director of DP World, Sponsors of the Lloyd’s List Newsmaker award at a special ceremony in Baniyas Ballroom of the Grand Hyatt Dubai. Captain Tony Aldred, Royal Australian Navy, CMF Director of Operations, accepted the award along with Commander Stephen Draper Royal Navy representing EUNAVFOR, and Lieutenant Commander Mark Reed Royal Navy representing NATO. 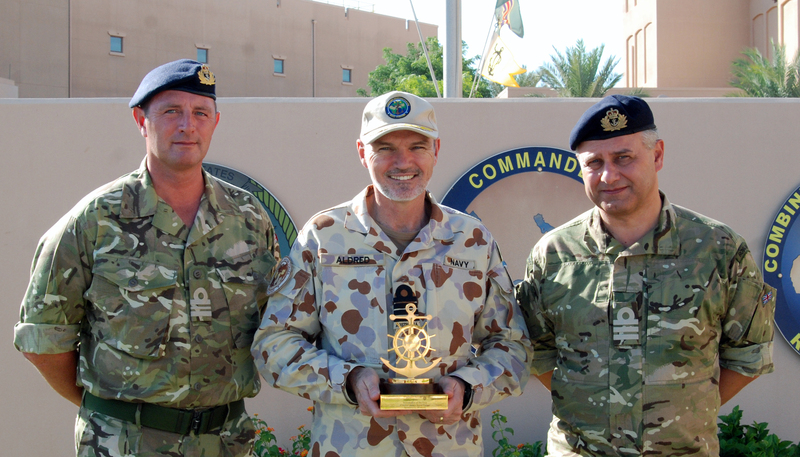 All three officers work in the CMF headquarters, located in Bahrain. Captain Tony Aldred Royal Australian Navy, Director of Operations of Combined Maritime Forces (CMF) addresses the audience at the award ceremony. The three maritime naval forces represent 33 member countries and are fully committed to disrupting and deterring piracy in the region of the Somali Basin, Arabian Sea, Southern Red Sea and Gulf of Aden; an area covering 2.5 million miles of the high seas.